LONDON (Bloomberg) -- Group Lotus said ousted CEO Dany Bahar stuck the British carmaker with the cost of his luxury lifestyle including a chauffeur, helicopter travel and 10 wristwatches. Lotus is seeking to recoup about 2.5 million pounds ($4 million) for unauthorized expenses and overpaid salary and bonuses, according to its October court filing in a lawsuit over Bahar's departure. The claim came in response to Bahar's own UK lawsuit against Lotus and Malaysian parent company DRB-Hicom, which seeks 6.7 million pounds for wrongful dismissal. DRB, controlled by billionaire Syed Mokhtar Al-Bukhary, took control of the unprofitable sports car maker through its January purchase of Proton Holdings. Bahar was fired in June. According to an interview with Bahar last year, Lotus hadn't generated any profit since it was acquired by Proton in 1996 as the maker of the Elise sports car struggled to compete against Porsche and Ferrari in Europe. The Proton board felt Bahar had "done an 'abysmal' job as CEO, was excessively extravagant and mercenary and was preoccupied with his own interests," according to the Lotus counterclaim. His expenses "were all the more unacceptable given that his brief was to turn the business around, which he singularly failed to do." Ex-Lotus CEO Dany Bahar says claims of gross misconduct are ill founded. 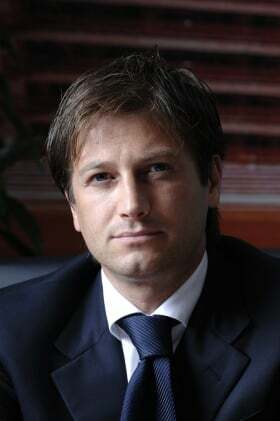 The legal dispute has shed light on Bahar's acrimonious departure from Lotus after his hiring in 2009 to rejuvenate the UK-based company. Neil Adams, a lawyer representing Bahar, didn't respond to an e-mail and phone call seeking comment. Daniel Aherne, a lawyer for Lotus, declined to comment. Lotus's allegations are "ill-founded and unjustified," Bahar said in court documents filed in August. DRB fired several managers on unfounded claims of gross misconduct in order to avoid its contractual promise to pay them in the event it sold the Lotus unit, Bahar said. Bahar spent about a million pounds renting and refitting two UK properties, which he charged to the company, according to its counterclaim. He claimed expenses for about 1.2 million pounds in travel, including the cost of private jets and use of a helicopter, as well as about 3,000 pounds on watches he said were for Lotus managers. He also made damaging statements to the media and breached his contract and duties as a director, Lotus said. "The spending pattern of the group was not justifiable or sustainable, including the lavish lifestyle of the claimant who appeared to have ignored internal controls," Lotus claimed. 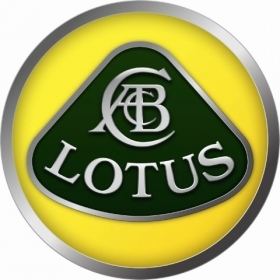 E-mails to Lotus's UK headquarters and DRB spokesman Sulaiman Yahya seeking comment weren't immediately returned. DRB, which initially warned it may sell Lotus if it doesn't meet performance targets, said in May it had decided against a sale.